Finding a decorator. Man. Where to start? By far, finding a decorator was THE MOST exhausting part of the whole wedding planning process. 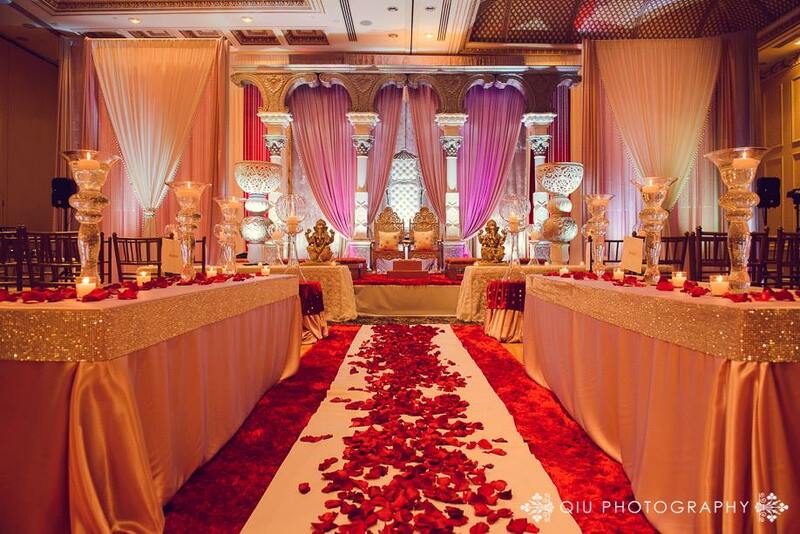 If there’s a hole in the desi wedding market, it’s definitely with decorators. (I attribute this mainly to the lack of customer service and professionalism in this vendor category, but more on that later). OK, so, since you guys asked, I’ll be doing posts on every, single, decorator that I met, before deciding to go with Amna of Lemon Truffles Designs. 6: Amna of Lemon Truffles Design. Raj = nicest, guy ever! He seemed genuinely sweet and totally passionate about what he does. His décor is his art, and it shows. That was the impression both SM and I got in our consultation with him; an all around likable guy. So, with Raj, the main thing that stood out to me is that his designs are loud. Like, really loud. And if you’re into that, then he’s your guy. But personally, it’s not my cup of tea. I remember in our meeting he said: “anything you can dream of, I can make happen” (hence, the aptly named Dream Party Décor!). But, I never had any out-of-this-world dreams of walking into my hall on an entrance made of water, ice sculptures, or gigantic 3D stages. In fact, I was considering not even having a stage! All I was looking for was simplicity, elegance, and details, and in my opinion, Raj is about big and bodacious. Images from Raj Mathur’s Facebook Page. And then there was the price. At the time of our meeting in 2013, Raj quoted his stage designs starting at $3500. Aka WAY more than I wanted to spend on a stage. So, basically, that was that. His style wasn’t what I wanted and his price was way over my budget. 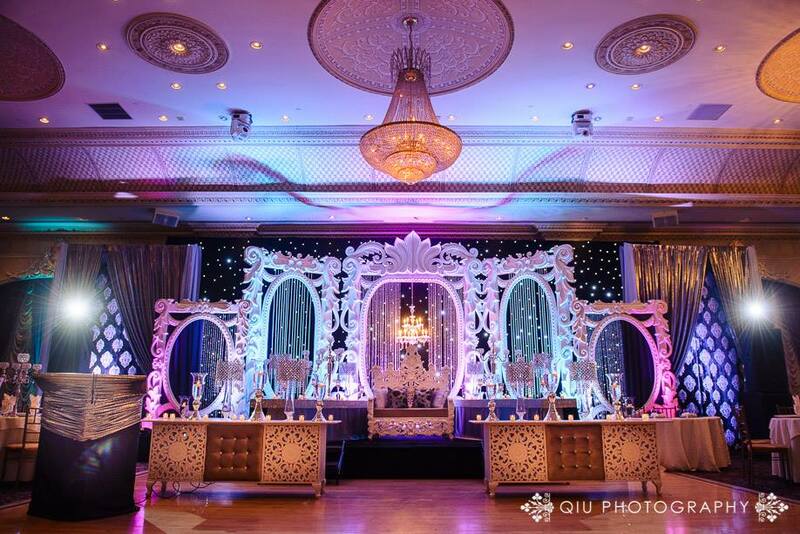 If you’re looking for a grand and ostentatious stage, and you have a big budget for decor, well then I’d say Raj is definitely your guy! I mean, just look at the pictures in this post – all samples of his very extravagant work! And while I personally didn’t go with him, if my consultation meeting was any indication, he’d be a total sweetheart to work with throughout your wedding! Did you guys hire Raj? Were you happy? Comment/review away! Next postThe Decorators, Chapter 2: Naphisha, The Perfect Setting.